BOGO – Buy 10 B.E. Well Patches and get 10 Free! 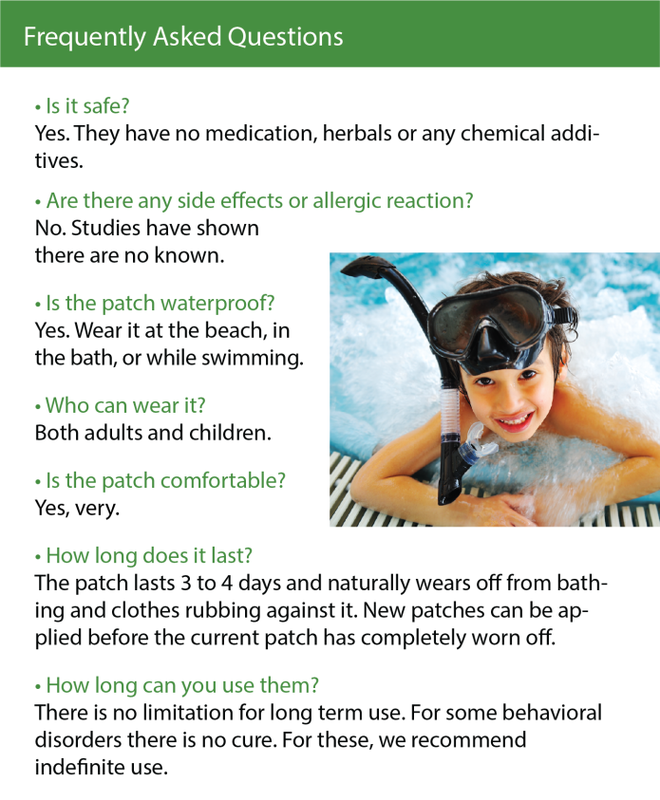 10 extra patches will automatically be added to your order. BE Well Patch -A Behavioral Wellness Support from Tuning Element on Vimeo. In testing and studies over the last three years, families with children on the Autism Spectrum, as well as those with ADD/ADHD and Dyslexia, saw substantial improvement in their children’s home and school life without side effects. They can be used in conjunction with prescribed therapy and act as a support to that therapy. 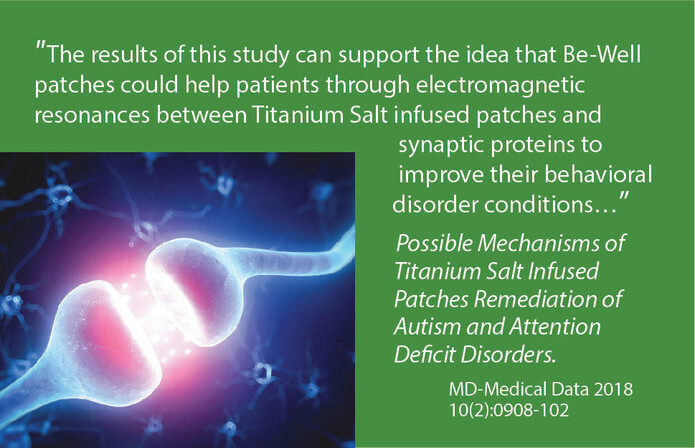 See the peer-reviewed study here POSSIBLE MECHANISMS OF TITANIUM SALT INFUSED PATCHES REMEDIATION OF AUTISM AND ATTENTION DEFICIT DISORDERS. MD-Medical Data 2018; 10. 97-102. Since 2010, Tuning Element Technologies has been developing proprietary Extremely Low Electromagnetic Frequency blends to benefit the body’s overall homeostasis and wellness support. Our products emit beneficial frequencies for supporting cell function in your body via the human Biofield. In 2009, we started designing and testing various passive frequency blends to support the brain’s neural pathways throughout the body. Our early breakthroughs in successfully supporting the body led to the establishment of Tuning Element, LLC in 2010. By 2016 this type of human biofield support showed amazing results in children and adults as, essentially, the brain and the gut were working better together to provide what the body needs for clearer thinking, which leads to better choices and better behaviors. 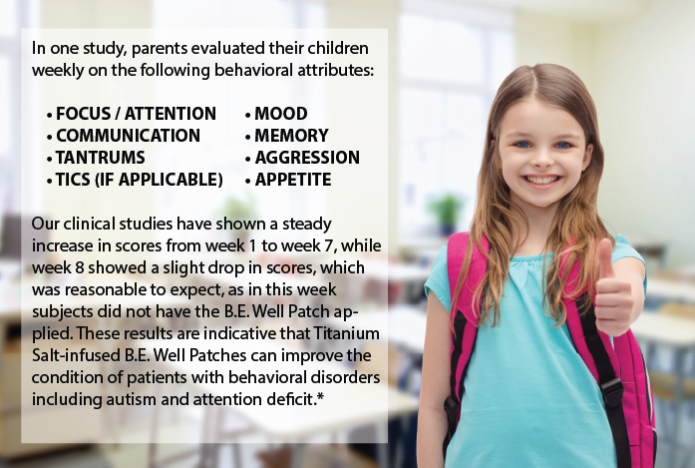 When we saw that the patch was making a significant impact for children with behavioral disorders, we initiated multiple independent peer-reviewed studies of the B.E. 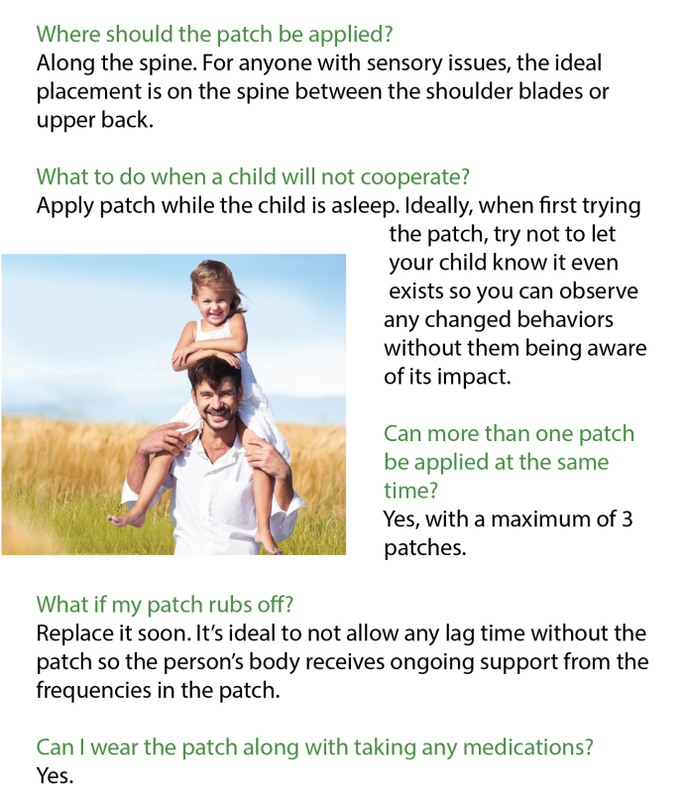 Well Patch with a number of leading researchers. 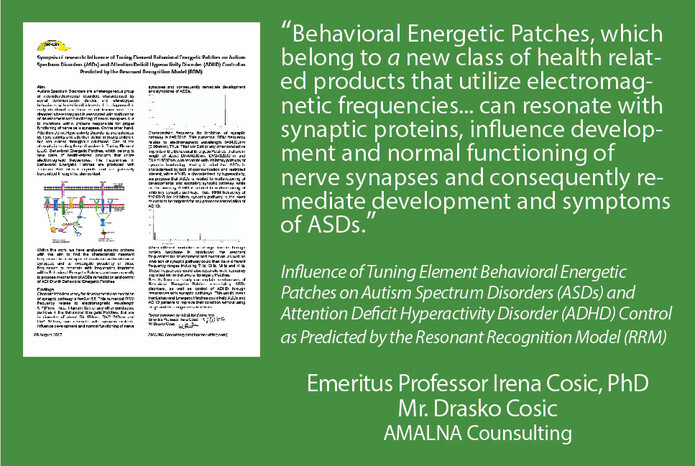 “The results of this study can support the idea that Be-Well patches could help patients through electromagnetic resonances between titanium Salt infused patches and synaptic proteins to improve their behavioral disorder conditions without using drugs and their negative side effects.” Cosic, Irena & Cosic, Drasko & Uzelac, Biljana & Brasovan, Srbislav. POSSIBLE MECHANISMS OF TITANIUM SALT INFUSED PATCHES REMEDIATION OF AUTISM AND ATTENTION DEFICIT DISORDERS. MD-Medical Data 2018; 10. 97-102.